Nancy Martin, B.A. (Honours, English and French), B. Ed. (Teacher of French as a Second Language, Specialist), M.S.W, RSW. Registered Social Worker, therapist. Basic EMDR and R-TEP certified. Nancy graduated from the Faculty of Social Work, University of Toronto (Toronto ON, Canada) in 1989 with Masters degree, specializing in individuals, groups, families and communities. Her area of focus has been violence against women and children. Nancy is a caring, compassionate, experience and skilled counsellor. She is a social worker registered with the Ontario College of Social Workers and Social Service Workers, and a member of the Ontario Association of Social Workers. 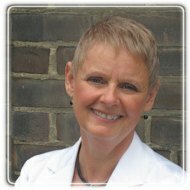 She has a Masters degree and has practiced for over 25 years in both the Toronto and Southwestern Ontario regions. She has worked in many community and mental health organizations, and has also had a private practice for over 10 year (in both Toronto and London ON, Canada). Nancy works with individuals, couples, families, groups and communities. She serves the general population, as well as the LGBTT community in particular. She has specialized in loss and grief, trauma and recovery and transitions and changes. She works using a variety of modalities, depending on client goals and needs, and is trained in EMDR, DBT, CBT, mindfulness, EFT, brief solution focused therapy and narrative therapy to name a few. Nancy offers services in individual, couple, family and group formats. She works from a person-centered approach, with the client as the "expert," and coaching the client to achieve their goals. She focuses on client strengths, and helps the client to access inner and external resources to support them in their journey. She has a warm, supportive, accepting approach, and works with the client to form a safe relationship where the client can trust and work on their issues. Nancy offers both shorter and longer-term therapy, depending on the client's resources, and is availabe for telephone counselling for those clients unable to travel to the London office on Central Ave just east of Wellington. Nancy is also available to offer consultation to therapists, as well as to organizations. Her specialization has been in transitions and change. Fees are on a sliding scale. She lives and works in London ON having located to the region after four decades in Toronto. She has a married son and rescued cats. Her interests include: animal rescue, gardening, interior decorating, children, nature, art and theatre. Nancy is a registered member in good standing with the Ontario College of Social Workers and Social Service Workers and a member in good standing with the Ontario Association of Social Workers.